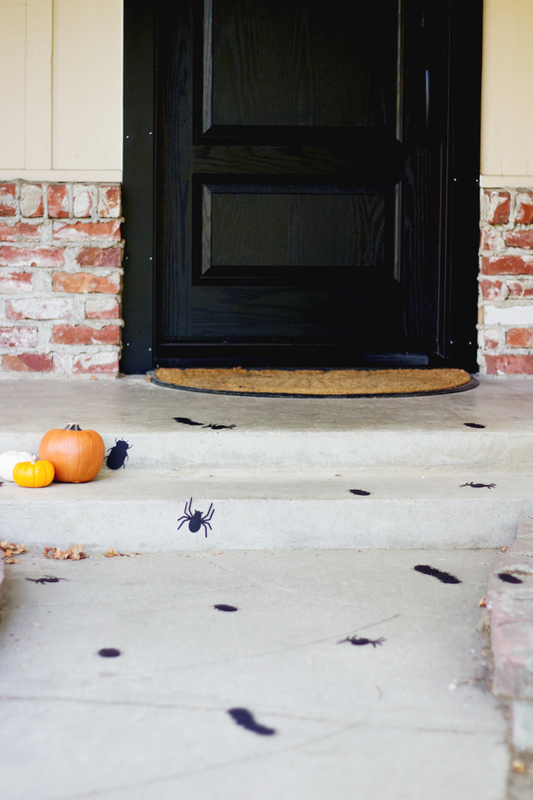 Looking for a cheap and easy way to decorate your house for Halloween? 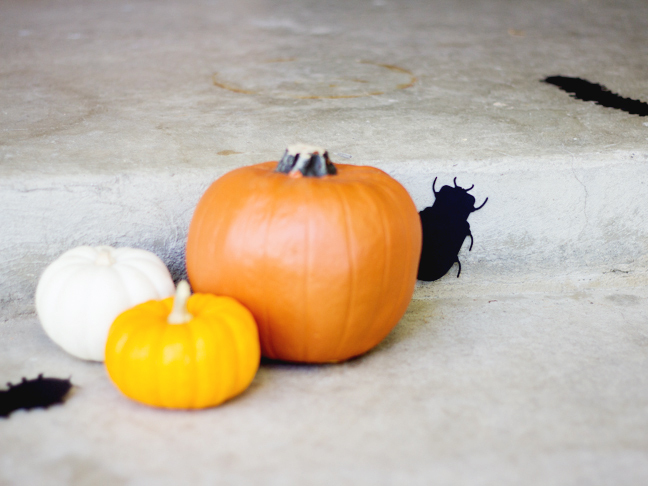 Creep all of your little trick or treaters out by lining your sidewalks with spiders, beetles, and centipedes. 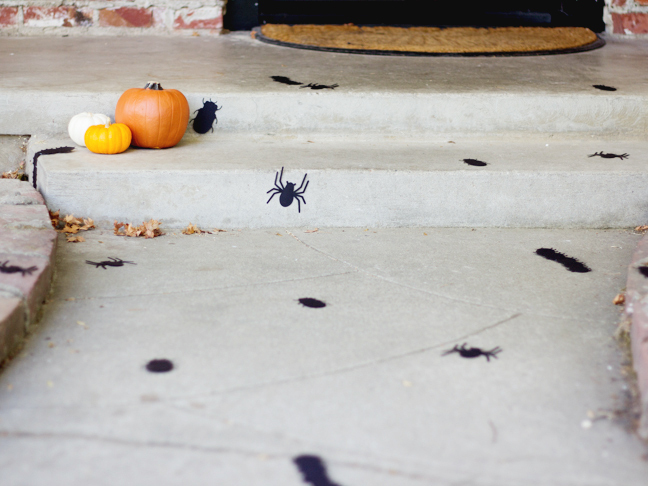 Light your sidewalk with some jack-o’-lanterns or luminaries, and these bugs will even look like they are moving a little bit in the flickering light. 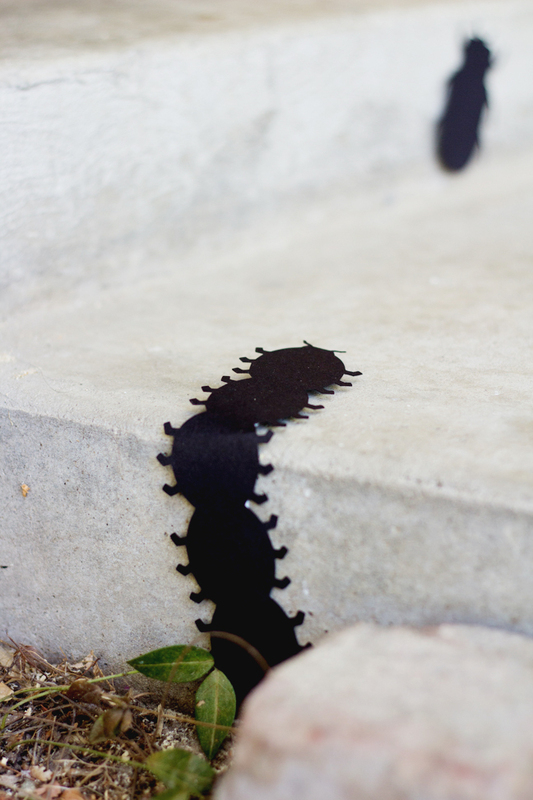 Keep reading for instructions on how to make your very own DIY creepy crawlers sidewalk! 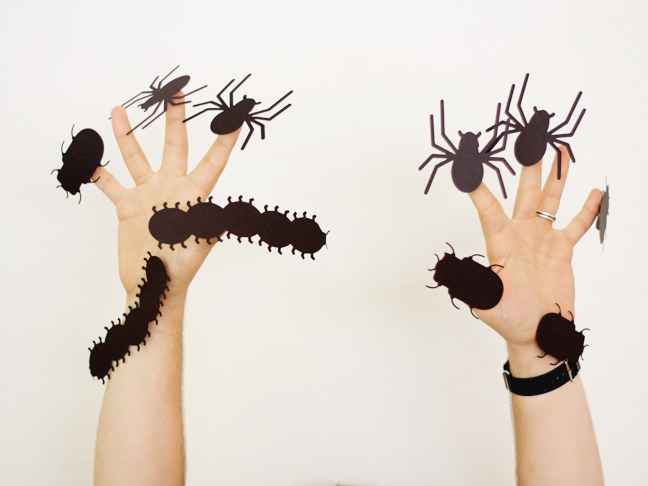 Step 1: Download and print your Creepy Crawly Bug download. Step 2: If you are using a cutting machine, you can just cut directly from that file onto black card stock. 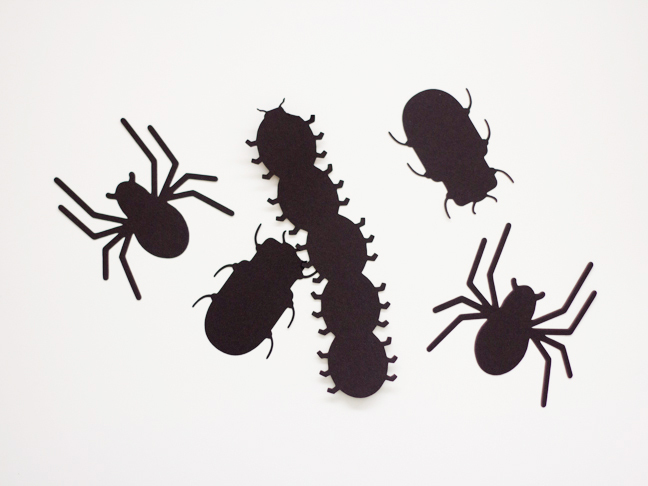 If you are using scissors, print bugs onto white card stock and cut out. Step 3: Sweep walkway clean. 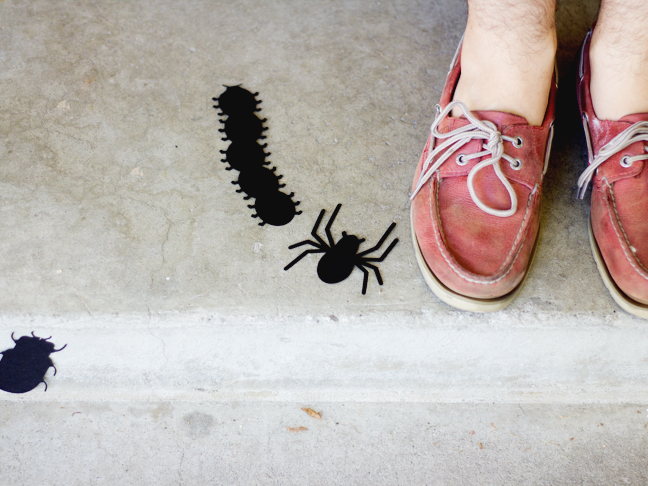 Bugs will stick better if there is no dirt or debris on your sidewalk. 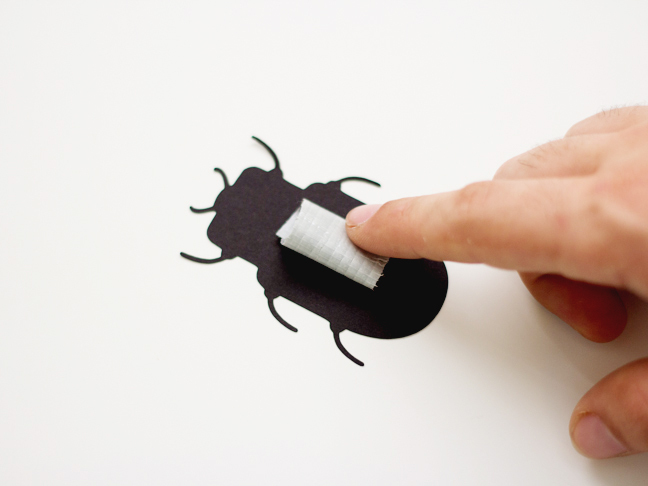 Step 4: Roll tape backward to create a double-sided piece and stick to the back of your bugs. In order to stick to your cement walkway, the tape has to be pretty sticky. I used duct tape, but beware of tapes that will leave residue after you remove your bugs. Step 5: Arrange and stick bugs on sidewalk. 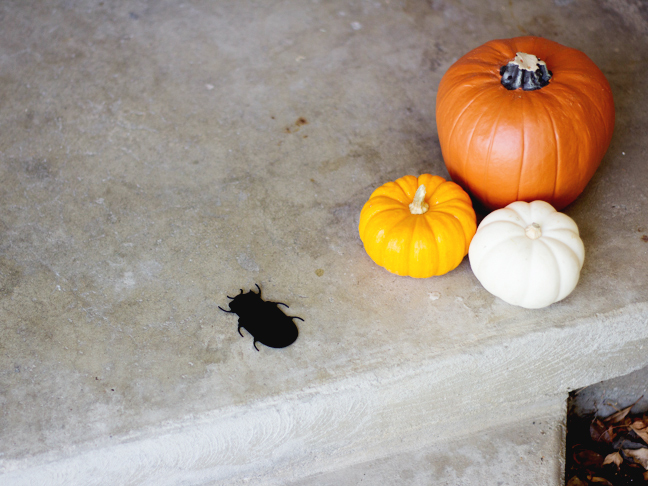 Have fun with your arrangement; they can be crawling to or from your front door, or in any direction. Don’t be afraid to stick a few to the walls! Now your sidewalk should look like something out of an Indiana Jones movie. 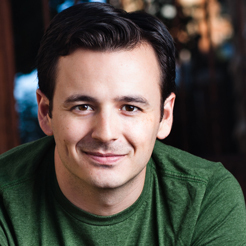 Have fun giving out candy while people “ew and aah” at your handiwork. Happy Halloween!